I felt so funny yesterday. Crystal clear, strong and happy but at the same time tired and really blah. I stopped in the middle of the street to smell an incredible hyacinth covered in raindrops and all of a sudden everything shifted. It’s only when I stop and stare for a bit that everything start making sense. A golden paus. Nature is such a game changer, it has the power to -in just a few seconds- both ground and elevate. Know what I mean? 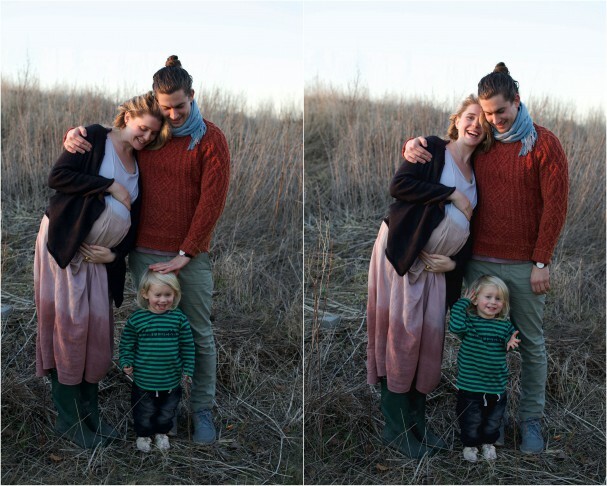 Since as long as I can remember, I’ve wanted to create these little golden pauses for other people to play in. To, with either a photo, a sentence read here, a talk or a video, make someone stop and stare for a bit. In that pause, where the buzz of the world is suddenly silenced – clarity/calmness/inspiration/juiciness enter. 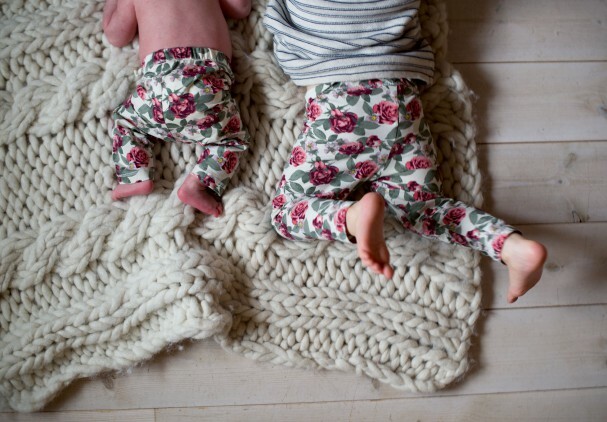 All kinds of goodness at your feet! Like feeling totally Zen ..with a pair of heels on ..in an celebratory ecstatic dance! Like this cake! 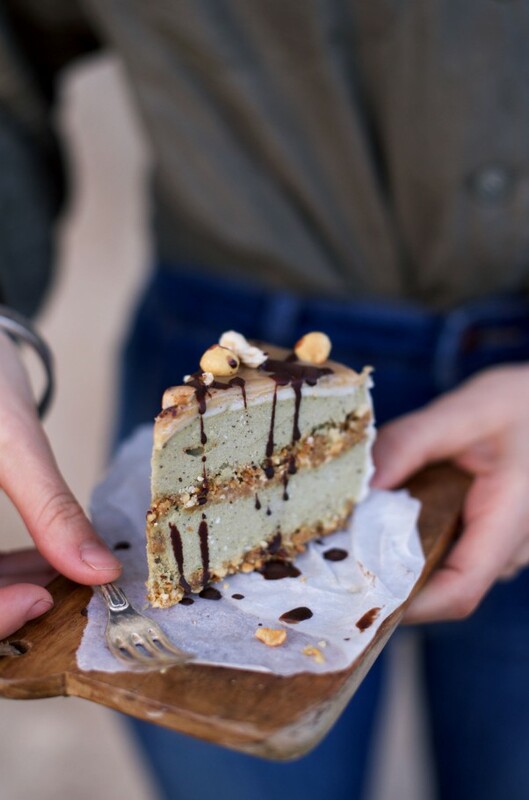 ..because celebrating is just what we’re doing with this cake (which to be honest is making me stop and stare, reminded yet again that #plantsaresexy). This is a a cake in celebration of my 27th birthday in February (when I had the flu and was very pregnant), a cake for Avalons birth-day and for Caspian becoming a big brother. A cake to celebrate Fabian and me being together for 9 years (on Avalons birth-day) and it’s also a birthday cake for Fabian (1st of April). Phew! 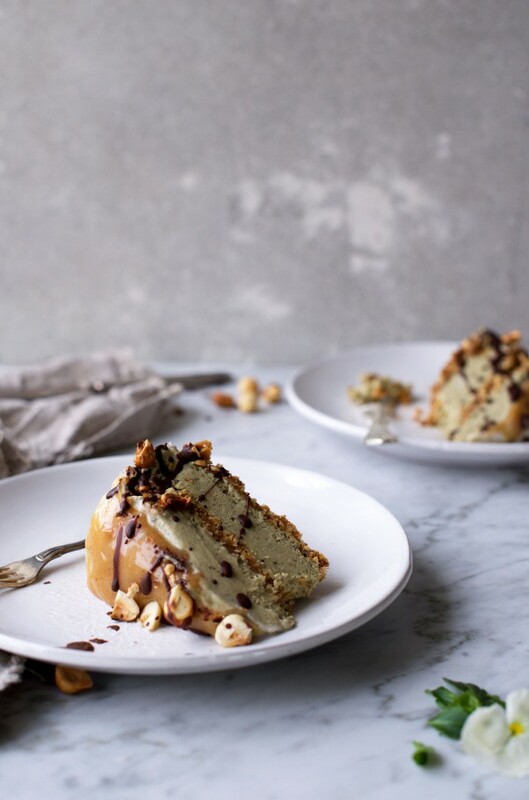 Good thing this salted caramel topped and earl grey infused ice cream cake is such a wild winner that it can totally take those 5 celebrations in 1. 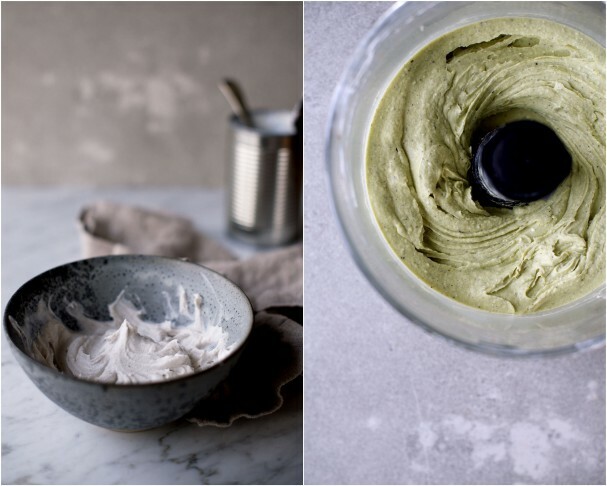 ..Pale green layers of vegan ice cream with subtle notes of bergamot and layers of crunchy toasted hazelnut all wrapped in vanilla coconut cream. Covered in salted caramel and topped with a raw chocolate drizzle, edible flowers more fragrant hazelnuts. 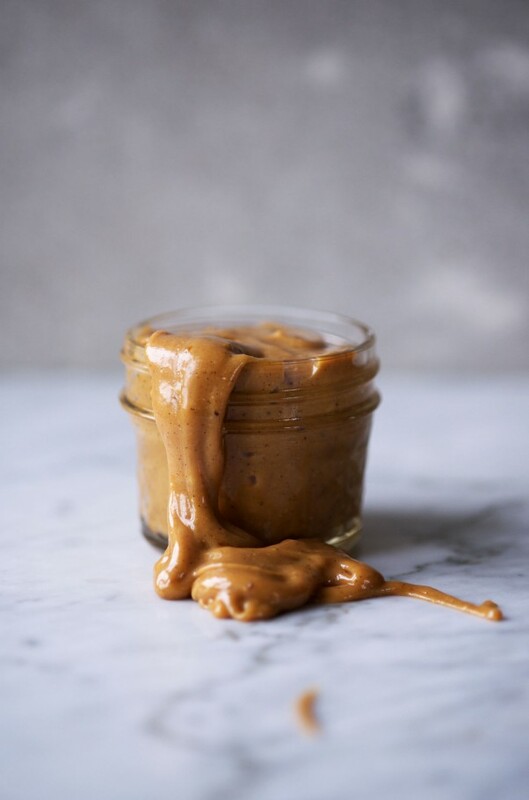 Granted, the recipe might look a bit intimidating but the hardest thing about making it is pre-freezing avocados and bananas, opening up some cans of coconut milk and stirring caramel. 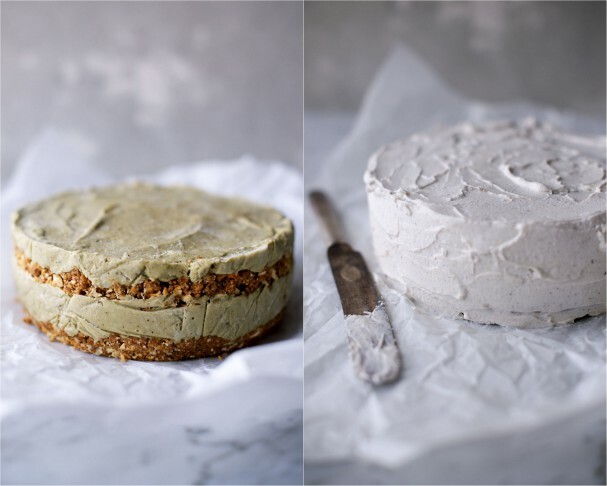 The day before making this cake, peel, pit and slice avocados and bananas and freeze. Also put the cans of coconut milk in the fridge. Once fruits are frozen, add them to a food processor. Open the can of coconut milk and scoop out the solid top layer of cream and add that to the food processor as well as the vanilla and tea. Blend until completely smooth and creamy. Add to a bowl and let rest in the freezer while making hazelnut crunch. 2. 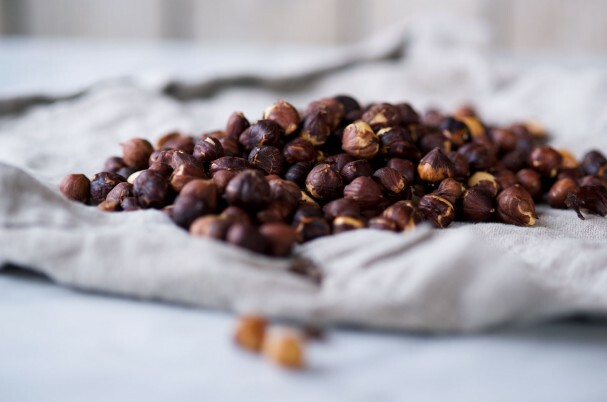 Add hazelnuts to a dry baking sheet and roast for 10 minutes (the core of the hazelnuts should be slightly golden). While Hazelnuts are in the oven roast the oats in a dry skillet on medium heat, stirring every 20 seconds or so. Oats are done when slightly golden and fragrant which will take just a few minutes. 3. 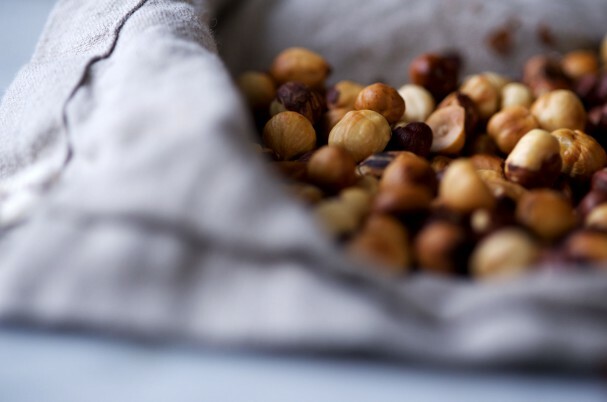 Add warm hazelnuts to a clean tea towel, fold towel over the nuts and rub as much skin off of them as you can. 4. 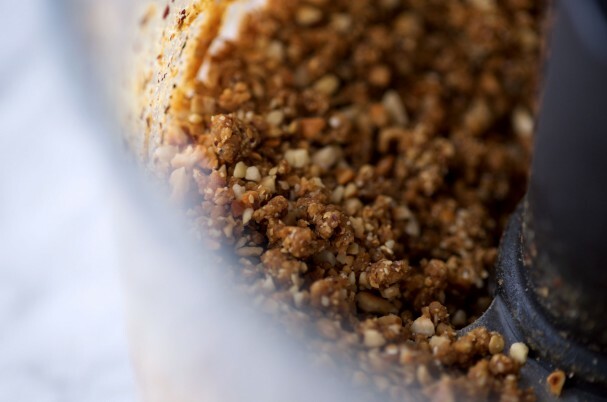 Add nuts and oats to a food processor along with the pitted dates. Blend until dry/crumbly and not dough-like (see picture above). 1. Line your 5 inch springform pan with plastic wrap and press down half of the hazelnut crunch onto the bottom of the pan. Eyeball it, as long as the bottom is covered, you’re good. 2. Spread out half of the ice cream on top of the hazelnut crunch, add a new layer of hazelnut crunch and then the rest of the ice cream. The cake now needs to be in the freezer for 2.5-4 hours (or you know, a week!) before taking the last steps below. 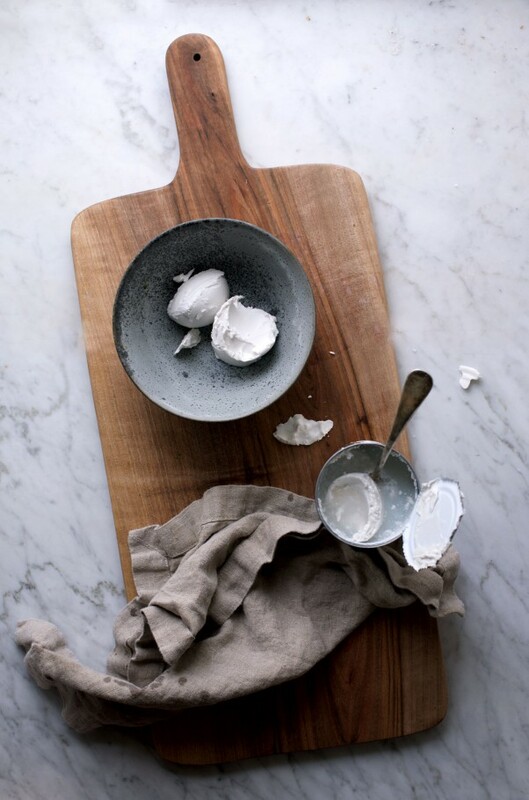 Open can of coconut milk and scoop out the solid top layer of cream and add that to a bowl as well as the vanilla. Whisk until smooth and creamy OR use a hand blender to get the job done. 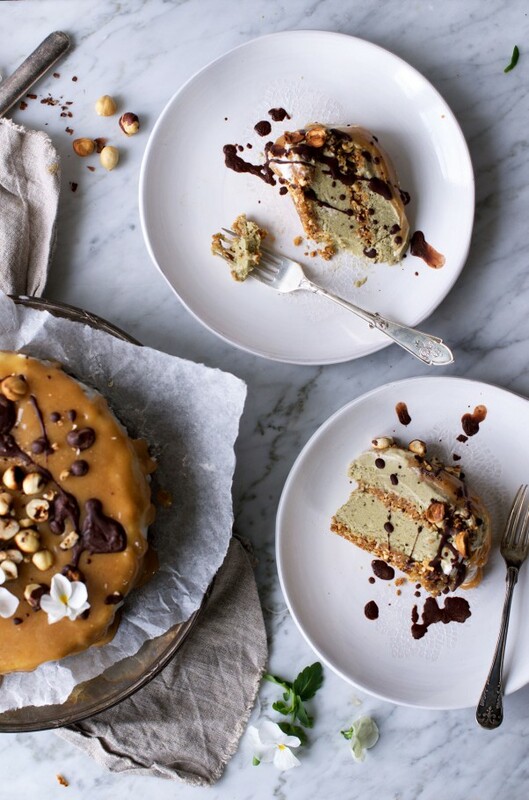 Get the cake out of the freezer and the springform pan. Put it on the plate you’re planning to serve it on and cover cake with coconut cream, top and sides. 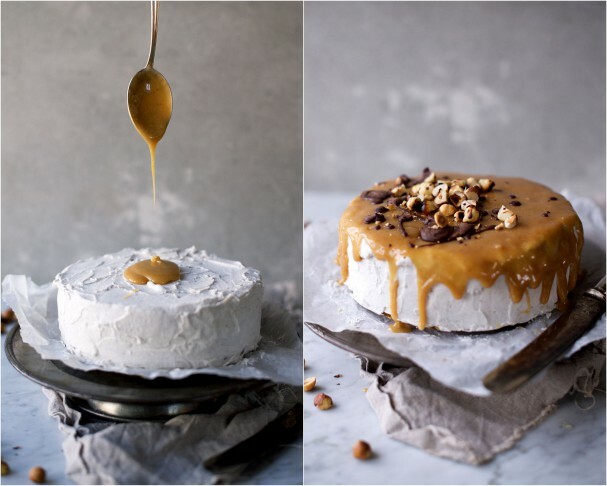 Refrigerate while making the salted caramel. Add all ingredients to a saucepan and very gently bring to a boil on low-medium heat. Stirring constantly. Remove from heat as soon as those first bubbles start coming and pour directly into a bowl. You’ll need to work really fast at this point (have the vanilla cream covered cake ready on the counter) since you only have a really tiny window of time before the caramel sets. 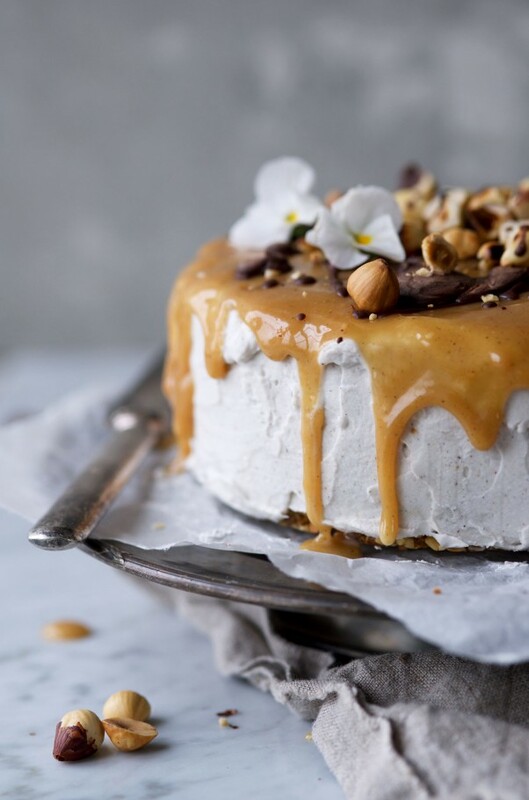 Spoon caramel over cake. Fast! Done! 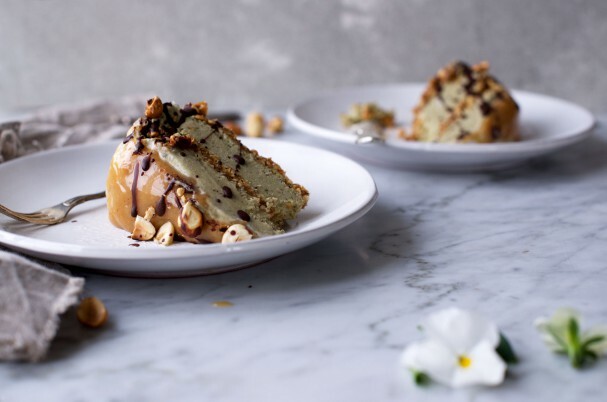 You can serve cake at this point but it’ll be much easier to slice it up if you freeze it for a little while (or a long, whatever suits your timetable) since the warm caramel has now warmed up the top ice cream layer. ..the sky is the limit! Unless you ditched everything to live alone in the Himalayas, the buzz of the world is constant. (In case you actually do live somewhere in the Himalayas, if you ever find Shambalaya, please send us all a telepathical postcard!). What I’m getting at is this; Stop and stare once in a while. Life is good. Happy Weekend! ..and see you on Instagram!